M/Y Bash (ex M/Y Ulysses), a 56 meter Benetti motor yacht built in 2012, following its recent sale to a new owner, has arrived to Genova (Genoa) Italy for some renovation works. New teak decking in swim paltform, panels in Garage walls and a new exterior table in teak have been prefabricated and installed by DUCA Solutions craftsmen. DUCA Solutions is proud to have taken part in recent maintenance works of M/Y Dilbar (ex project Omar) in Barcelona. M/Y Dilbar was built by Lurssen shipyard in Lemwerder, Germany, and it's the 4th longest super yacht in the world - 156 meters. 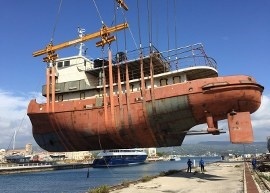 DUCA Solutions took part in a teak refit works of a 38,3 m super yacht M/Y Lotus in Loano, Italy. "I am very impressed with the quality of the workmanship and finish on the teak that you have achieved. Thank you for such a good job!" 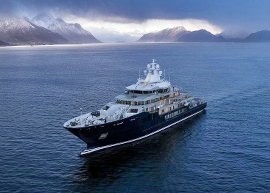 - said the Captain of M/Y Lotus Ben Heslop. The tugboat Baltic, built in 1963 in Norway, started the reconstruction works in France for a future conversion into a pleasure yacht. DUCA Solutions team, in collaboration with Esthec, have prefabricated and installed all the deck covers in Esthec composite decking. 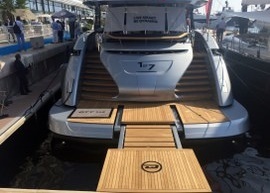 DUCA Solutions is pleased to announce that we have completed the installation of teak decking on the newly launched Dynamiq's GTT 115 in Viareggio, Italy. 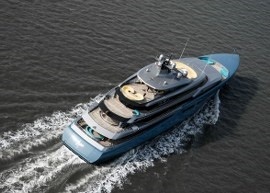 This high performance 35 metre superyacht was designed in collaboratiopn with Studio F.A. 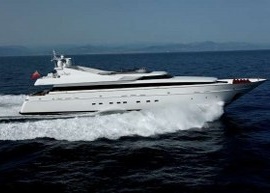 Porsche and will be presented on Monaco Yacht Show this year. 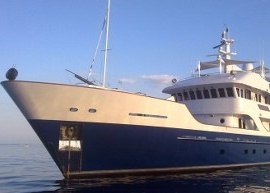 DUCA Solutions has taken part in the recent refit of a 60 meter superyacht M/Y Ice Angel on the South of France. 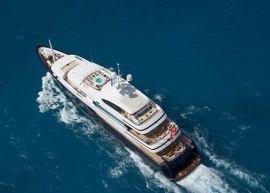 Following opening a teak refit center in Palma de Mallorca, Spain, DUCA Solutions have already completed there another superyacht refit project. All teak decks of 39 meter M/Y Gladius have been removed and Esthec composite decking has been installed instead - fully CNC prefabricated & glued with vacuum. New launch Abking & Rasmussen M/Y Aviva features all decks in Esthec fully prefabricated by CNC by DUCA Solutions in our premises in Livorno, Italy and installed on board in Lemwerder, Germany. 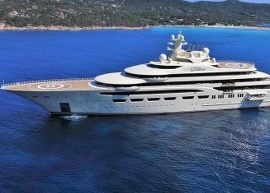 This mega yacht is the largest in the history of this German shipyard and is designed by Reymond Langton Design.